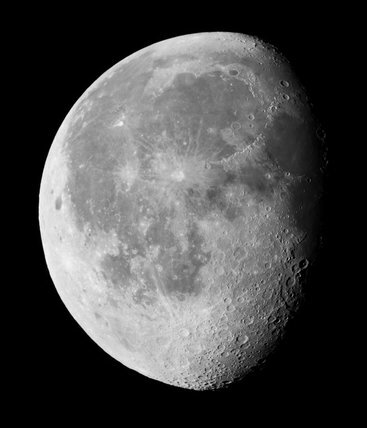 A gibbous moon, a phase of the moon between first quarter and full or between full and last quarter. Taken in the UK on October 17, 2011 using a Canon EOS 550d camera attached to a 6 inch Maksutov-Cassegrain telescope. Barwel meteorite, light micrograph, 1990s. Aluminium bronze, light micrograph, 1990s. Titanium alloy etched, light micrograph, 1990s. Ascorbic acid, light micrograph, 1990s. Clock tower and toilets, Seaton Carew, Durham, 2005. View over Harehills, Leeds, 2005.